Online Pizza ordering system is a web-based application which enables customers to order their pizzas online for home delivery or pick up from the pizzeria. There are a variety of food items available on this planet. Each country has its own kind of dishes to offer. But if we pick a food item which is loved by all the people on this planet, then pizza will be a clear winner in it. I have listed more than 90 computer science projects, Kindly check that. The whole world is in love with pizzas. The billions of dollars earned by different pizzerias across the globe just prove this. The love of pizzas has enabled the rise of large pizza companies like Pizza Hut, Domino’s, Papa John’s and much more. As the internet users are increasing exponentially, these companies have introduced Online Pizza ordering system for taking orders from customers. This system not only improves customer’s experience but also eases the workload on the staff of pizzerias. You must have ordered your pizzas by phone for home delivery. The process seems easy to use but at times there is miscommunication. As there is no visual menu shown during a phone call, the employees have to repeat a lot of things again and again to the customers. It’s a time-consuming process which at times irritates customers. Also, it takes a lot of time of the pizzeria staff. It would be much more comfortable for the customers to have an online pizza ordering system. It would be hassle-free for users as they can select the pizzas they want and make payment for it. Also, it will reduce the purchasing time for customers. Let us look at another benefit of using this system. Suppose I go to a pizzeria and make the order. Even after ordering pizzas from their outlet, I have to wait at least 15 minutes for my order to be ready. Wouldn’t it be much more convenient if I ordered my pizzas before using a mobile app or an online system and then it will tell me the time by which I have to pick my order from their counter? It would be great for me as I don’t need to wait for my pizza. I need to reach there only when my pizza is ready. In a nutshell, we can say that improved and efficient services are provided to the customers by the inclusion of internet in your business. As a business point of view, it gives you an edge over your competitors. Build your own pizza – This system will help customers in ordering custom pizzas. So the customer will pick exactly the things which he/she wants in their pizza. This will surely enhance the image of the pizzeria and customer satisfaction will be more. Online Payment- This system will give the option to the customer for online payment. This will make pizza buying experience cash free. Better Knowledge- This system will provide customer all the details of his order before making the order. This confirmation will help customers to check the items ordered with their prices. Know Delivery Time- This system will show the time by which the order will be delivered to the customer. For pick-ups, customers can fix the time by which they will pick their order. Reduce Paper Work- As most of the things will be performed online, it will reduce the usage of paper for the pizzeria. Improves Efficiency- This system will make things easier for staff as whole ordering process is done by the customer only. These were the objectives of the online pizza ordering System. Let us now get into the details of the working of this ordering system. Let us now understand the working of this system. Whenever a customer visits the webpage or mobile application of the pizzeria, he/she will have to select his location so that the order is made to the nearest pizzeria. The menu will be visible to the customer with the pizzas and other non-pizza products on offer. All the ingredients will be shown at their prices. Now the customer will customize his pizza and make changes in the ingredients if he wishes for and select the quantity for it. After selecting the items to be ordered, the customer has to select the type of order whether it will be a home delivery or pick up. After that, the customer has to provide his/her details like name, phone number, address, email id. Now payment option is shown to the customer. He has to choose from the various online payment methods or cash on delivery option. After this process, the order is made and the customer is notified about the time by which the pizza will be delivered to them. 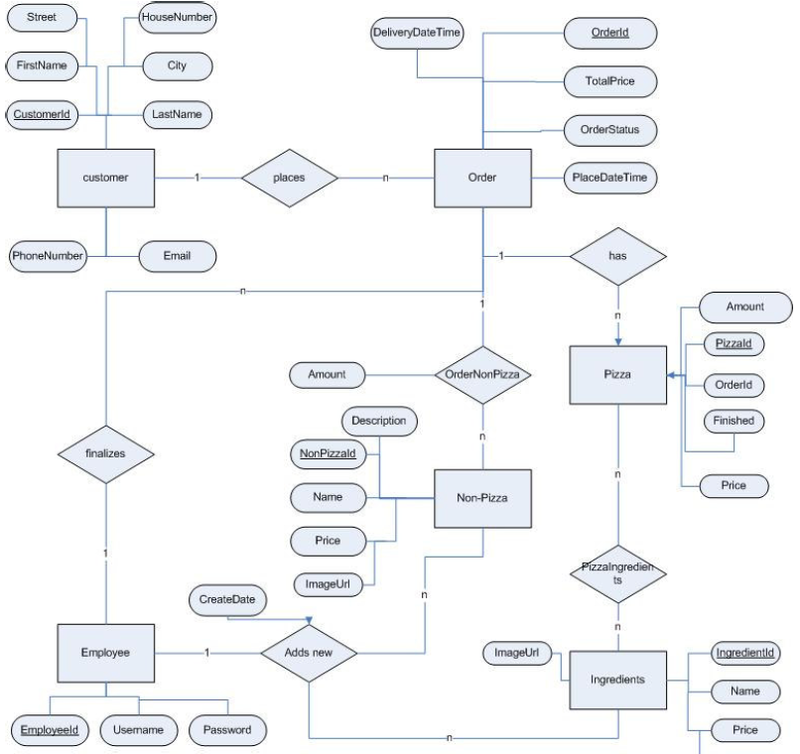 The ER diagram for online pizza ordering system is shown below. Let us now get into the details of these modules. This module will provide the interface for customers to order their pizzas. When a customer visits the online pizza ordering system of any pizzeria, he will be asked to log in or sign up for them for a better experience. The customer has to create a unique username and a password. Then he /she need to enter details like Name, phone number, address. After these steps account of that customer will be created. The system will provide customers a menu in which all the pizzas and non-pizza items will be shown with their prices. The pizzas on the menu are created by the professional chefs of the pizzeria. The ingredients in this pizza can be changed according to the customer interests. The customer can select any pizza from the menu or build the custom pizza. Each pizza will be shown with their image and price. The ingredients used in the making of that pizza can also be seen. Each of these ingredients can be removed or other new ingredients can be added in the order. After each selection or de-selection, the grand total of the order will be updated. One of the most amazing features of online pizza ordering system is that you can build your pizzas from the scratch. This system provides the options to create your custom pizzas with everything of your choice. Let me tell you more about making custom pizzas. The customer will get an option to select pizza’s crust size which can be small, medium or large. Then the customer has to choose the sauce to be used on his pizza crust. These can marinara, cheese, ranch, and others. Then the system asks the customer whether to add cheese or not. He also has an option to select for extra cheese. At last the system shows the customers different types of toppings. Firstly customer has to choose between veg. and non-veg. toppings. Suppose you selected veg., then different options like pineapple, mushrooms, olives etc. are shown. One important point to be noticed here is after each step, the updated price of your custom built pizza is shown to the customers. Each item’s price is also reflected below its image. This feature is useful in a situation where you have to order more than one pizza or other non-pizza items. Suppose you have selected a Margherita pizza and now you want to select other pizza as well. Then you just have to add that pizza to the cart using the Add to cart option. Items added to the cart will be saved so that you can choose other pizzas as well. Finally, when you are ready to order you can check out from the cart to make payment. There will be basically 2 payment options i.e. online payment using Credit/Debit cards and Internet banking or Cash on delivery. Before making payment your order details are shown and confirmed. This system makes transactions easier as the need to pay with cash is not there. This feature asks the customer to if he/she intends to pick up his/her order from the pizzeria or it is needed to be delivered to their address. This is another interesting feature which helps customers to keep a track of his order. The customer is notified at every step of their order completion. After making payment the customer is shown the time by which his order will be delivered to his doorstep. In the previous section, I told you all about pizza ordering by customers. But what happens after this. How the pizzeria manages the order made by the customer and delivers it on time. The online pizza ordering system comes to their rescue again. It provides all the features and functionalities for processing orders without any fuss for the staff of the pizzeria. This module will be used by the employees of the pizzeria for preparing orders and delivering them to their destination. Each employee of the pizzeria will have an account in this ordering system. They will have a username and password provided to them by the system admin. Mainly there are three types of employees using the online pizza ordering system. They are Kitchen staff, delivery staff and other employees like the counter staff. They have an interface which shows them the list of orders to be prepared. Each order shows its details like ingredients to be used and quantity of each item. The current status of each order is pending. After a particular order is prepared and ready to be delivered, the kitchen staff updates the status to ‘Prepared’. The customer is notified at this stage that their order is prepared and soon will be delivered. After order is prepared the available delivery staff is handed over the orders with their address. When the delivery staff leaves for delivery the status of the order is updated again to ‘Out for Delivery’ and the customer is notified. When the delivery staff delivers the order successfully, he updates the order status to ’Delivered’. If he fails to deliver the order due to any reason, the status is updated to ‘Delivery Failure’. In case of pick up, the counter staff updates the status of the orders. When the kitchen staff has prepared the order, the counter staff updates the status to ‘Ready to be picked’ and the customer is notified that he can pick up his order now. After the customer picks up his order, the counter staff updates the order status to ‘Received by customer’. Each kind of employee has its own rights and permissions. The kitchen staff has a right to only check pending orders and update status to ‘Prepared’. He cannot update the order status to ‘Delivered’ as he doesn’t have the right to do so. 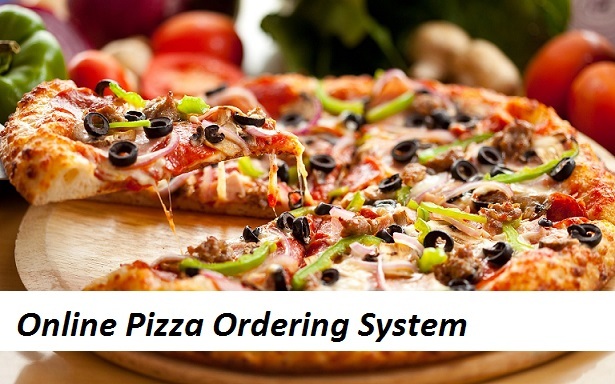 Till now, I told you about the two most important modules of online pizza ordering system. Let us move our discussion towards the last (but not the least) module of this system i.e. Administration. Administration module is equally important in the functioning of this system. The user is of this module is known as Admin or superuser. He is the master of this online system. Admin has all the rights and power to use this system. He can add/edit/delete different ingredients into the system. He can add/edit/delete new pizzas, their images, prices and other details. The same functions can be performed for non-pizza items. He can add/edit/delete users in this system. It’s the admin who adds new employees account to the system. Admin has rights to add/edit/delete orders for customers. So, friends, this was all about online pizza ordering system. You know the importance of this system in our day-to-day lives as we all prefer online ordering over ordering on phone. All these modules can be implemented in the web application or a mobile application (Android, iOS, and windows). This project can be developed in any technology or programming language. I must tell you that if you are looking for such online system for your business then you are at the right place. Feel free to contact me for this project or similar projects like online ordering system for a Restaurant. 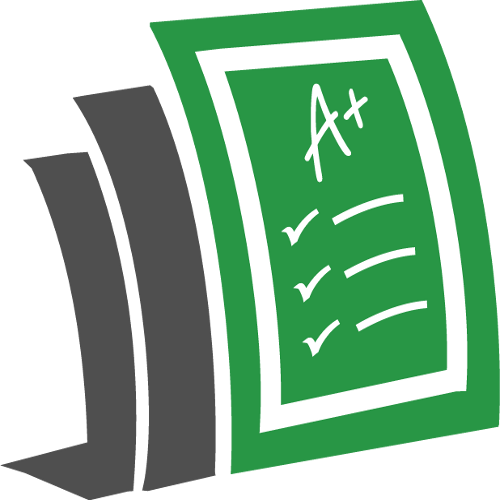 If you are a student, you can use my programming assignment help service to boost your grade. You can also ask me to do your programming project. 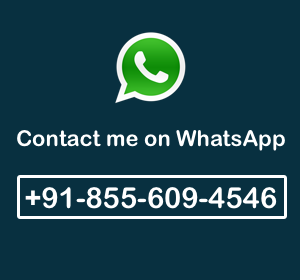 All your queries and doubts are welcomed.